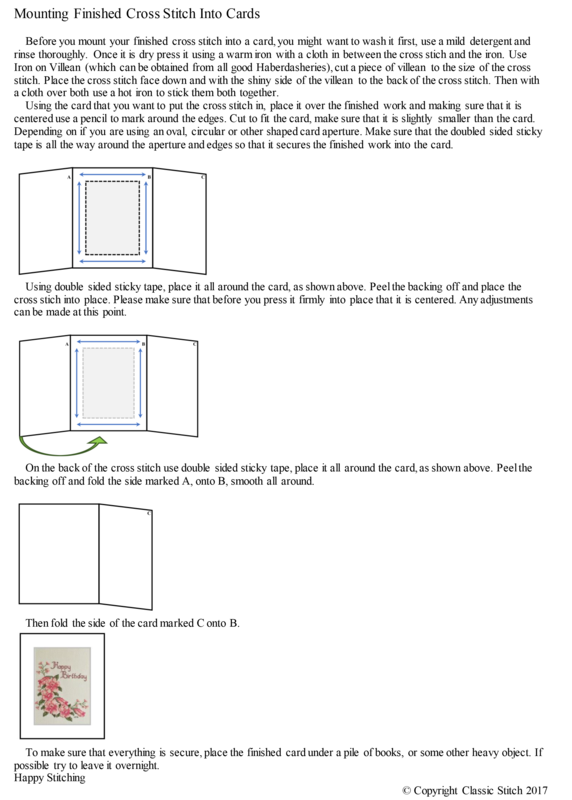 As with the Cross Stitch Instructions you can also use or print this guide to mounting with our compliments. To be able to print just the Instructions only off, it is advised to save a copy of the picture to your PC, or other device. Then you can print off as many copies as you wish.